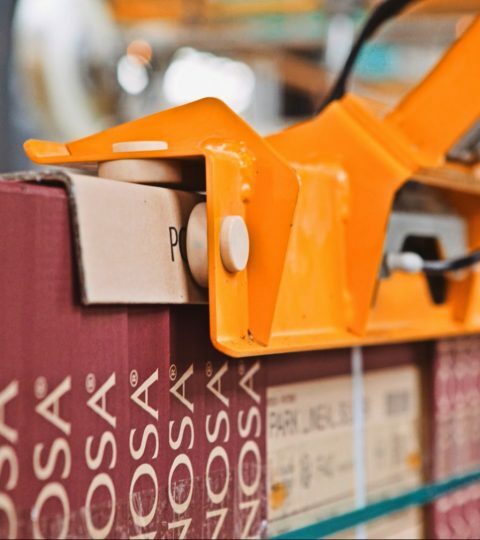 Innova’s automatic strapping solutions will achieve the best hold and stabilization possible for your pallets. We design and manufacture strappers with advanced technology that combines rapid strapping, a robust design, and accessories for extra hold. 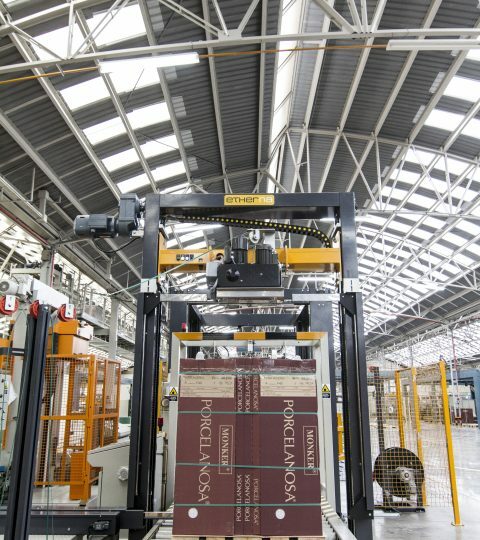 The automatic horizontal strapping system allows the position and number of straps to be configured, adapting to different pallet sizes. It incorporates an anti-vibration portal frame made of 4 pillars, which provides greater robustness and hold for the strapping process. Optionally includes an automatic lateral compacter that guarantees a perfectly secure load. 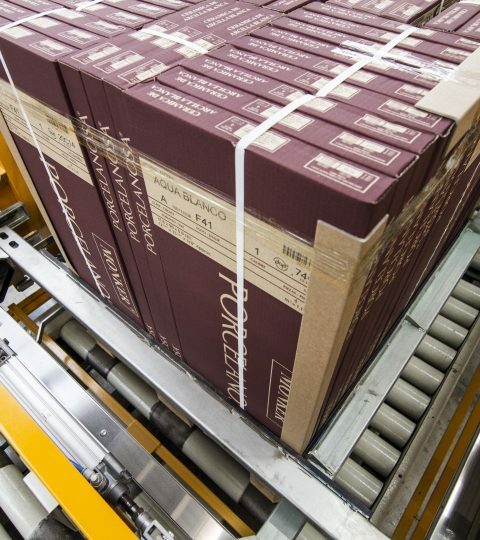 Our automatic vertical strapping system lets you strap different pallet sizes on 2 or 4 sides of the load. Includes a 90º swivel system to strap in 1 or 2 directions for better load fastening. 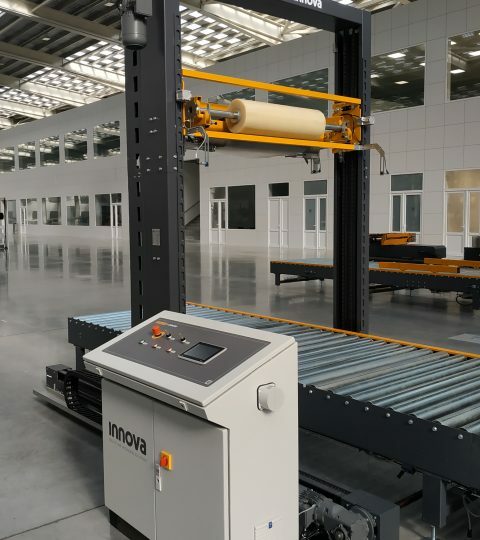 Incorporates a lateral movement system to carry out several strapping processes without moving the load, saving space on the production line. The strapping frame is foldable to save space in storage. It has a flexible vertical frame structure prior to strapping. It may optionally include a cardboard corner protector applicator for maximum protection of the wrapped product. The corner protector applicator is an accessory that may be included in either the horizontal or vertical strapper. This system places cardboard corner protectors between the load and the strap in order to guarantee full protection of the boxes so that they are not crushed during the placement of the straps. Our compacting system is an accessory that may be included in the horizontal strapper that centers and pre-compacts the load prior to strapping. 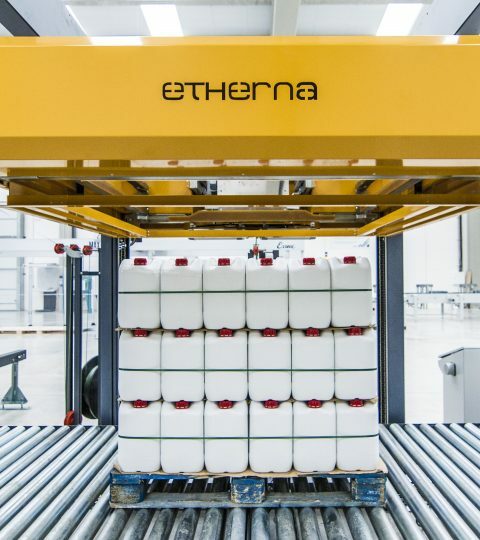 This step grants optimal horizontal application of the strap, guaranteeing the perfect hold of the palletized product for final packaging. We also offer an automatic sealing system for palletized boxes as an accessory for the vertical and/or horizontal strappers. This type of sealing is used as a special reinforcement for extra-heavy cardboard boxes (as in the case of tile products).